League of Tough-Guys secret handshake: Revealed! 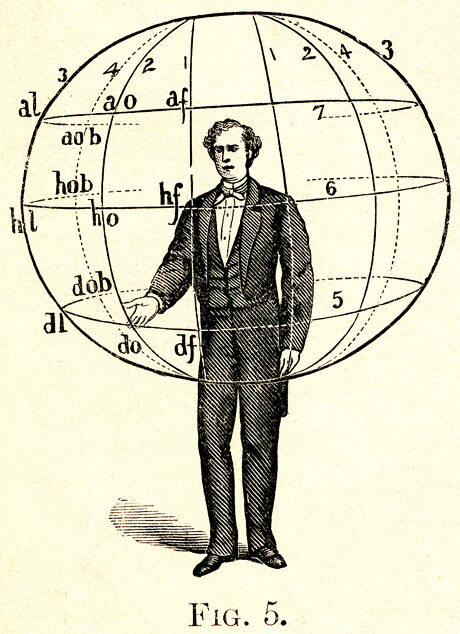 O mighty carving of the air: From “A Manual of Gesture: Embracing a Complete System of Notation,” by Albert Bacon, 1870s. We knew our man when we deputized Mighty Toy Cannon, charter member of the League of Tough-Guy Arts Observers, to devise the League’s official secret handshake. A tough man in the double-clutch is Mr. Cannon, and we knew he wouldn’t let us down. Creating a secret handshake is no simple deal. It must be exclusive yet simple enough to be easily remembered and readily manipulated by the members of the secret organization. This fundamental failure is the underlying cause for the demise of the legendary hippie handshake: easy enough if you can remember it, but after all those years of illegal stimulants, uh, what were we talking about? An effective secret handshake should be impressive enough to keep nonmembers from snickering when they see it, yet nonthreatening enough to keep members from being arrested for creating a public disturbance. It should be snobby enough to signify innate superiority — after all, not just any bozo can belong to your club — yet appealing enough to reflect the true generosity of spirit that so embodies the virtues of your noble organization or sect. In short, creating an effective secret handshake goes far beyond the simple challenges of Euclidean geometry. It is, ultimately, a spiritual quest — a conceptual challenge. And as all who know him willÂ attest, Mr. CannonÂ is one of our finest conceptual artists. That’s why he’s a charter member of the League. After his long and strenuous deliberations, then, we proudly unveil Mighty Toy Cannon’s elegant solution to the puzzle of the League of Tough-Guy Arts Observers secret handshake. Practice it in the privacy of your own home. Then, in the true anarchic spirit in which it seems intended, take it to the world. A letdown? We think not. Rather, a stroke of genius. To all the secret members of our society, then, the official secret word: Do your own thing, man. And don’t forget to put the check in the mail.